Call to learn how Altair can help you increase you ROI and improve marketing results. 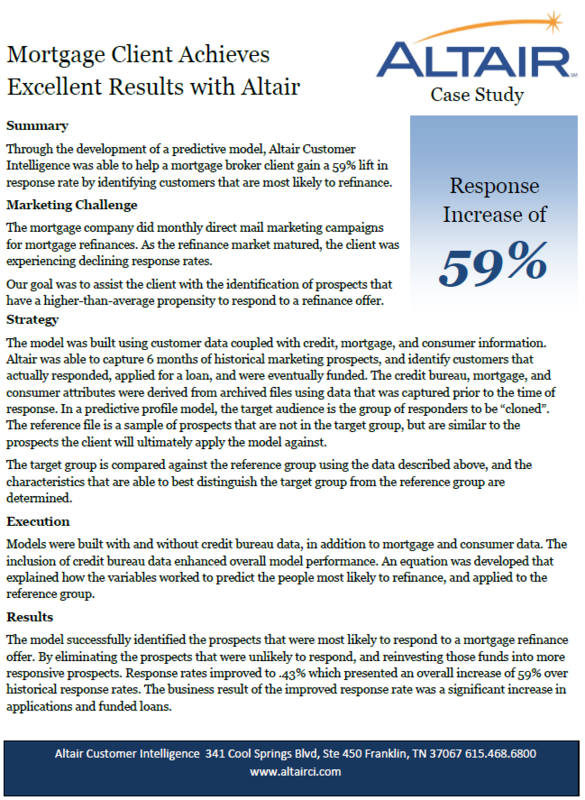 This entry was posted in Data Marketing, Financial Marketing, Financial Marketing Case Studies, Mortgage and tagged Case Studies, Mortgage. Bookmark the permalink.